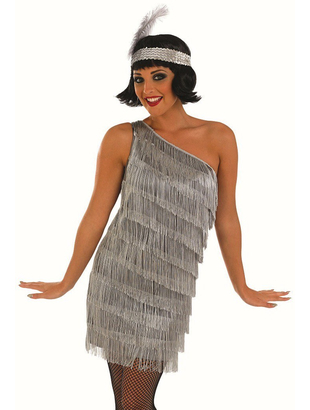 Silver Flapper costume includes a silver one shoulder dress with fringe detailing. 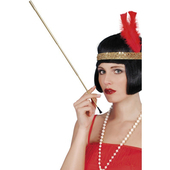 Also included is a silver sequin headband with feather. 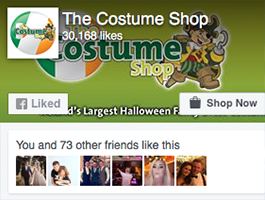 Tights may be purchased separately.